Check out the official FB group. And here’s the New Yorker article that awarded Harbor Day it’s National Holiday Status. But you probably won’t. We knew that. It is difficult to simply click a link, isn’t it? This is a delicious cocoa bean drink. It could be called a “Coffee alternative” in that it claims to provide energy with only trace amounts of caffeine. It’s full of good stuff like antioxidants and lots of healthy sounding things, but the real take here is that it’s made from the same stuff chocolate comes from! The cool part? It brews up much like coffee. You can make it in your automatic drip coffeemaker, or a French Press. Personally,. I think the flavor is better from the French Press, but is the best from my Aeropress (though this is a slightly more difficult process). 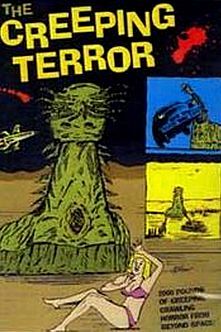 The Creeping Terror just may be the worst movie ever made, but you can watch it for free on YouTube. It kind of defies words…a large alien carpet very slowly devours a bunch of people. Said people could easily run away, but for some reason don’t. William Thourlby (aka the original Marlboro Man) was in it for some reason. This charming movie was made by a very less than charming person named Vic Savage. 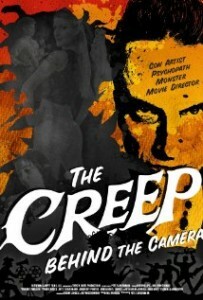 His story is told in The Creep Behind the Camera. Seriously, he made the actors pay him to be in the movie. This documentary tells the story of Vic Savage who was well, creepy. “Like a demonic Bill Pullman”. While it’s an interesting story, it may be hard watching for some. Vic is … abusive. There’s also a Charles Manson connection. If you are an Amazon Prime member you can watch this one for free here. Kelly owes this Creeping gem to Late Night Movie Club that is hosted by Patrick aka @TheClurichaun over at SyFyDesigns.com every Saturday night. Hit Patrick up if you want to join. It’s great fun! Amy @AmyRushall: One of the newest members of team Harbor Day! She really brought her best passive-aggressive game to the group. Tagged Cocoa, Creeping Terror, Crio Bru, Horror, Late Night Movie Club, Vic Savage. Bookmark the permalink.